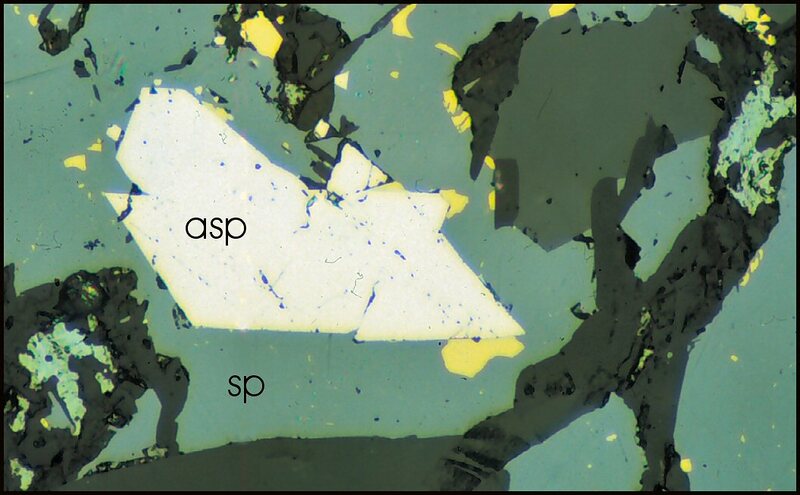 Comments: Polished section (PPL) showing crystalline aggregate of arsenopyrite (asp) in massive sphalerite (sp), typical of the main sphalerite lens. Location: Giant Kidd Creek Volcanogenic Massive Sulfide deposit, Western Abitibi Subprovince, Timmins, Ontario, Canada. Scale: F.V. = 0.25 mm.